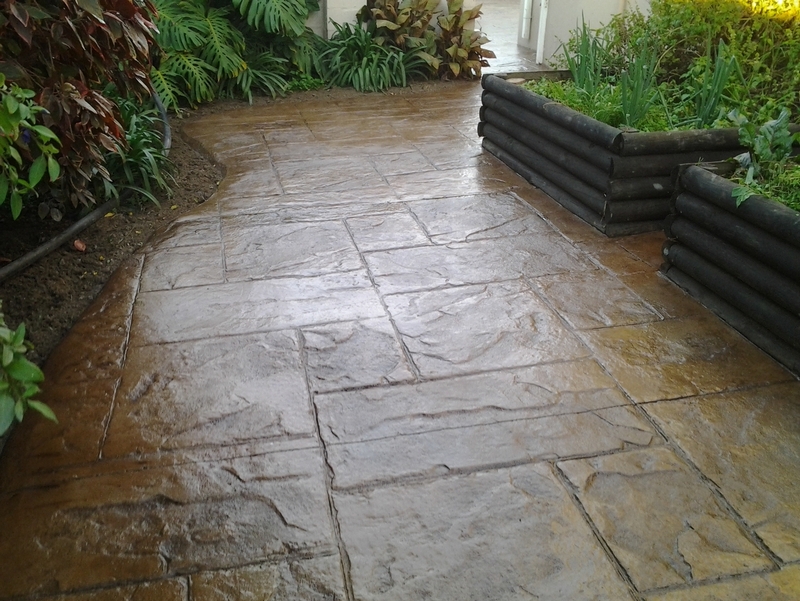 The natural alternative to brick paving. 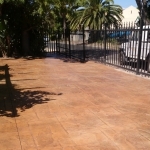 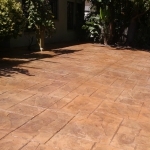 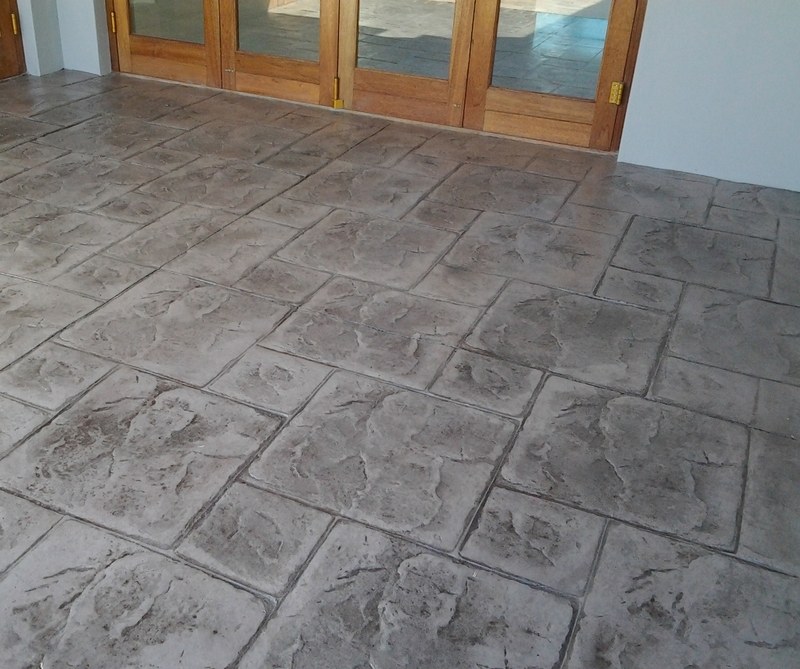 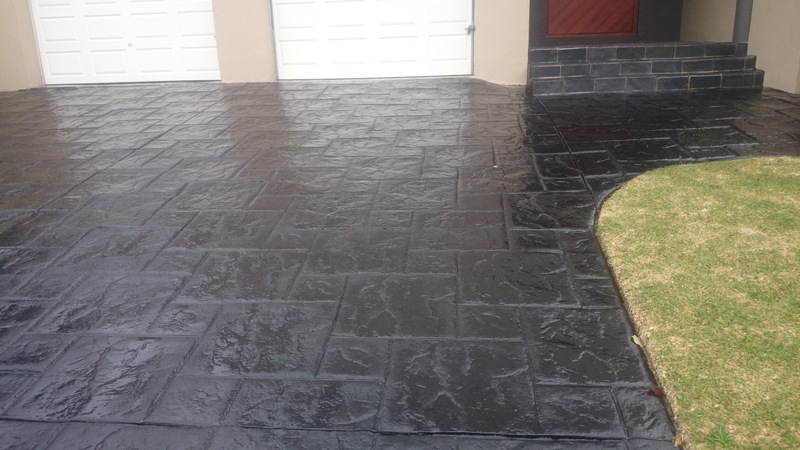 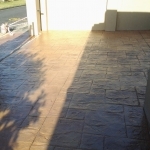 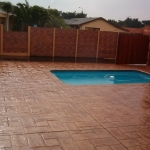 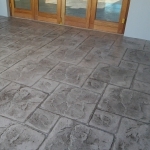 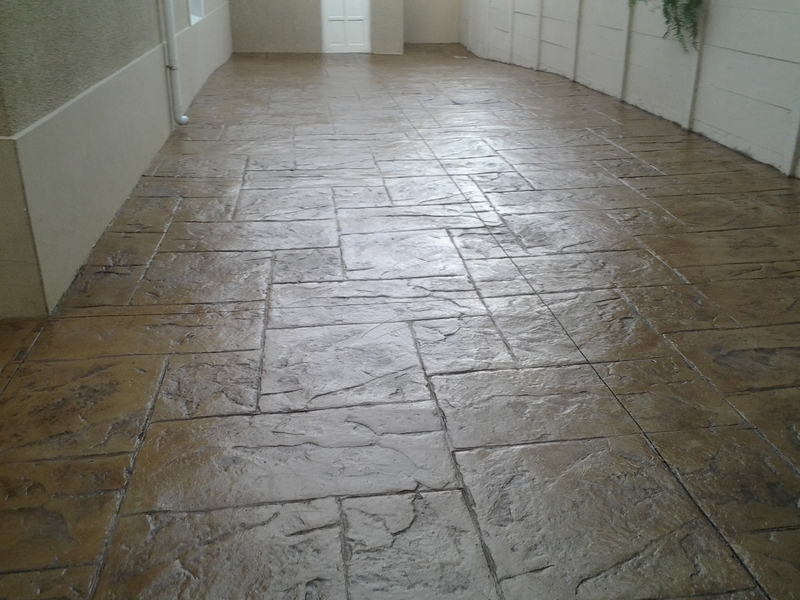 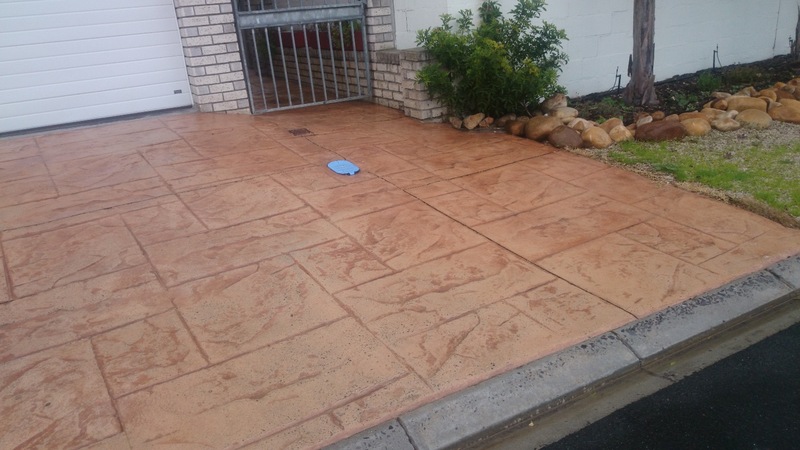 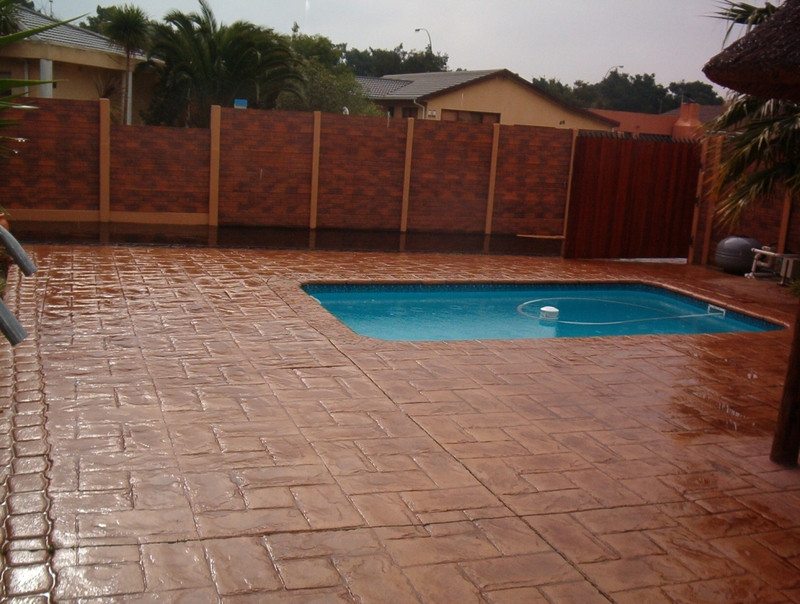 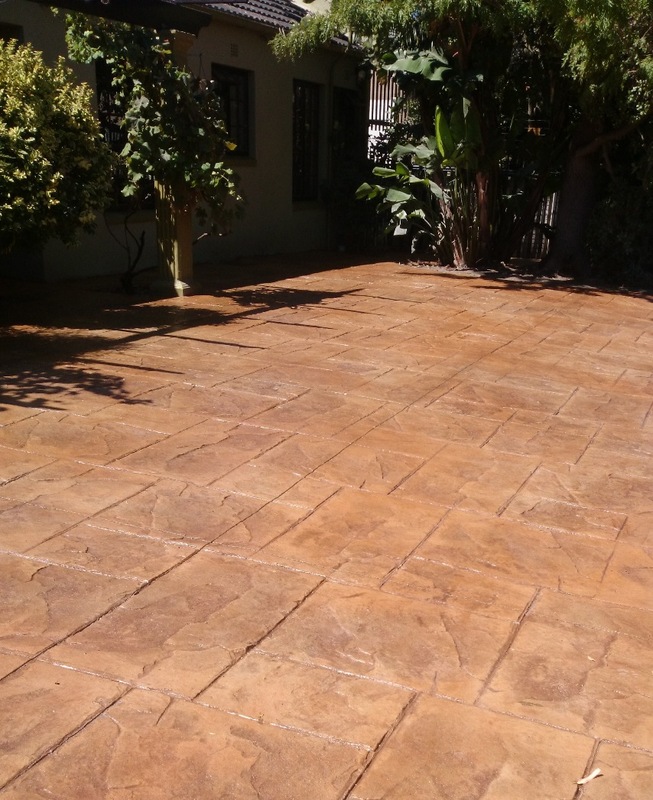 Pattern imprinted concrete paving is a durable, high quality paving system that is ideal for driveways, walkways, patios and pool surrounds. 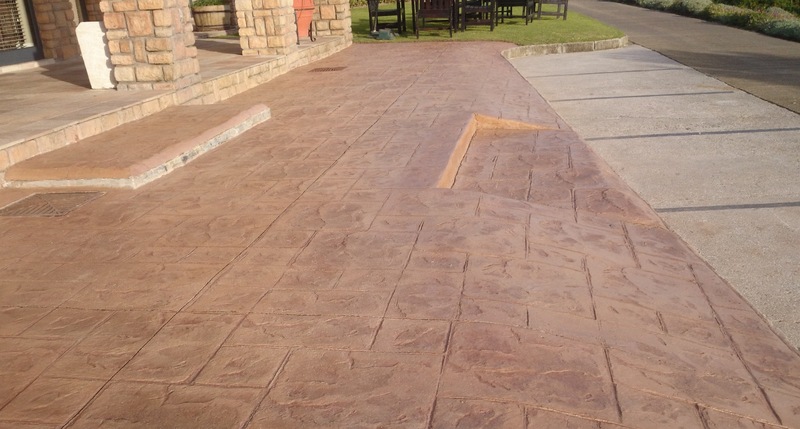 High-strength concrete is cast on site, coloured, imprinted and sealed with acrylic resin. 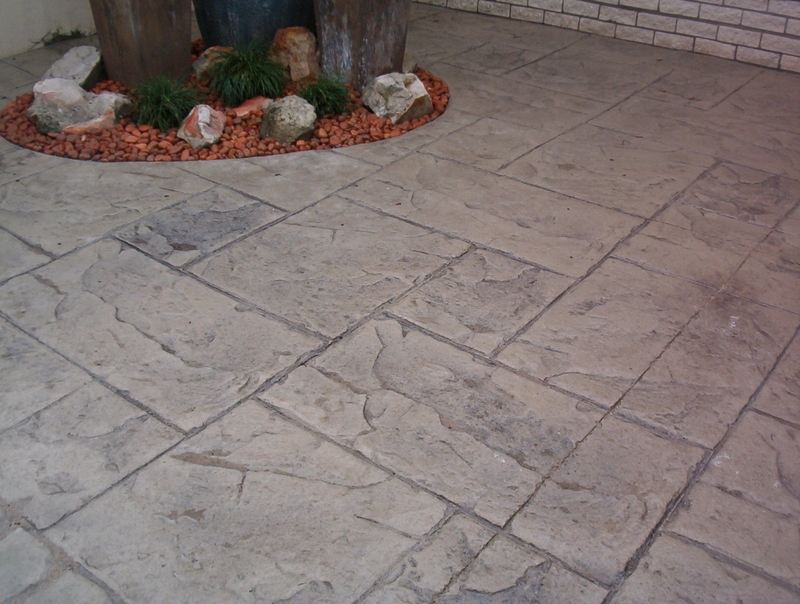 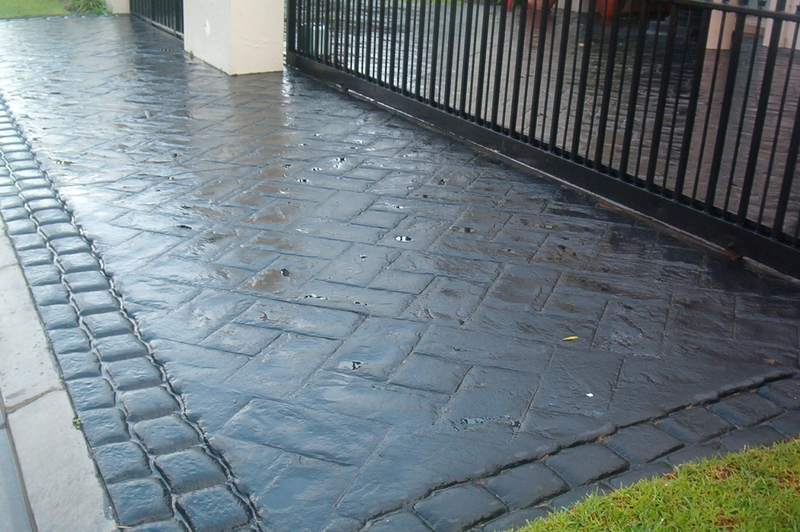 Pattern imprinted paving can be finished in a variety of colours and patterns. 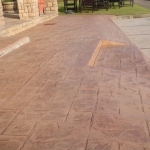 moss will not grow on it. 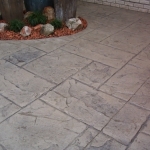 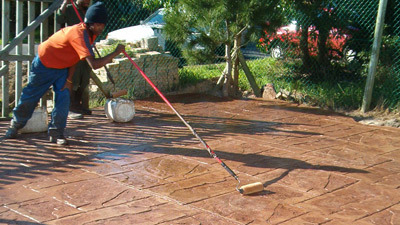 EuroCrete has been established since 1997 and has continually revised and fine tuned our paving application processes. 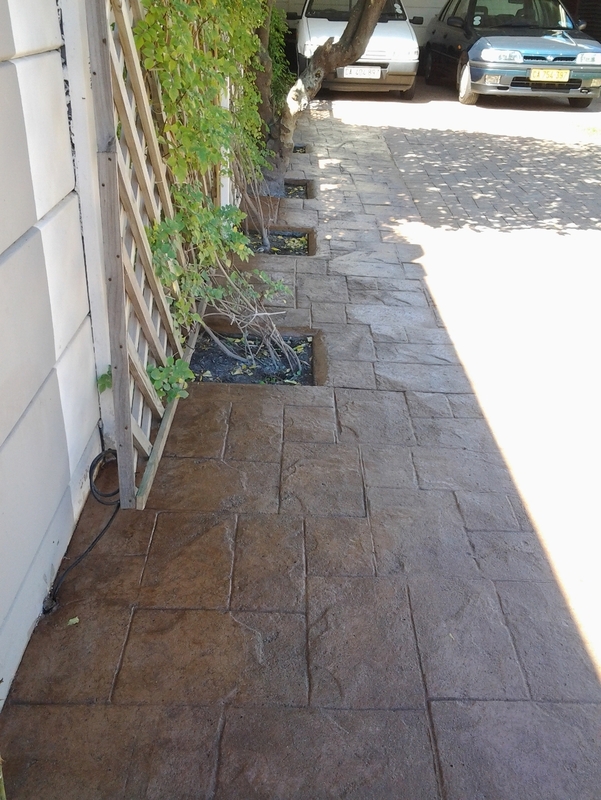 Existing paving and/or grass is removed from the area to be paved. 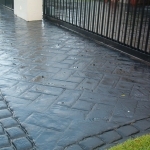 The levels are corrected to allow for water runoff. 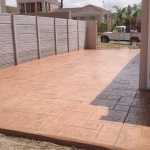 Drainage pipes and catchment pits are installed where nessasary. 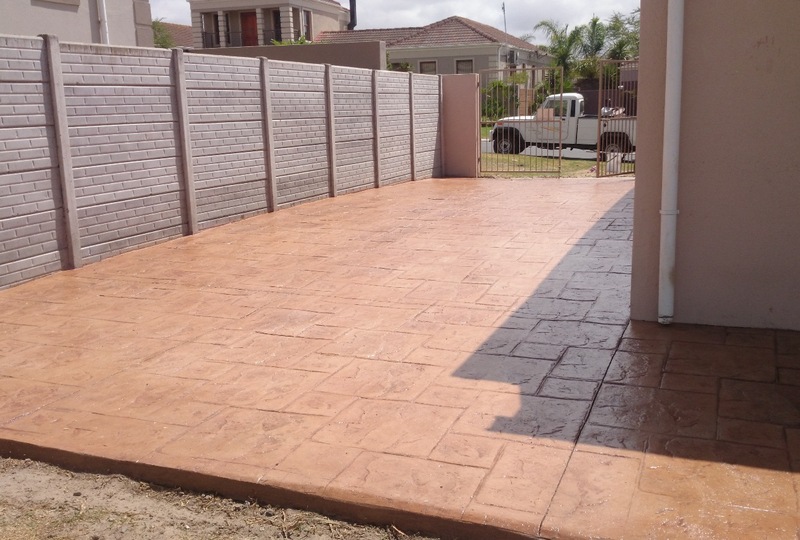 Then the site is well compacted and the form work is put in place to determine the edges of flowerbeds and the borders of the new paving. 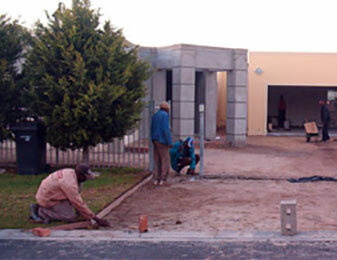 The rubble is removed off-site. The ready mixed concrete is cast in place to a thickness of 75mm on driveway areas and 50mm thickness on walkway areas. 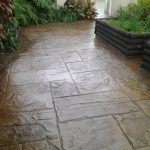 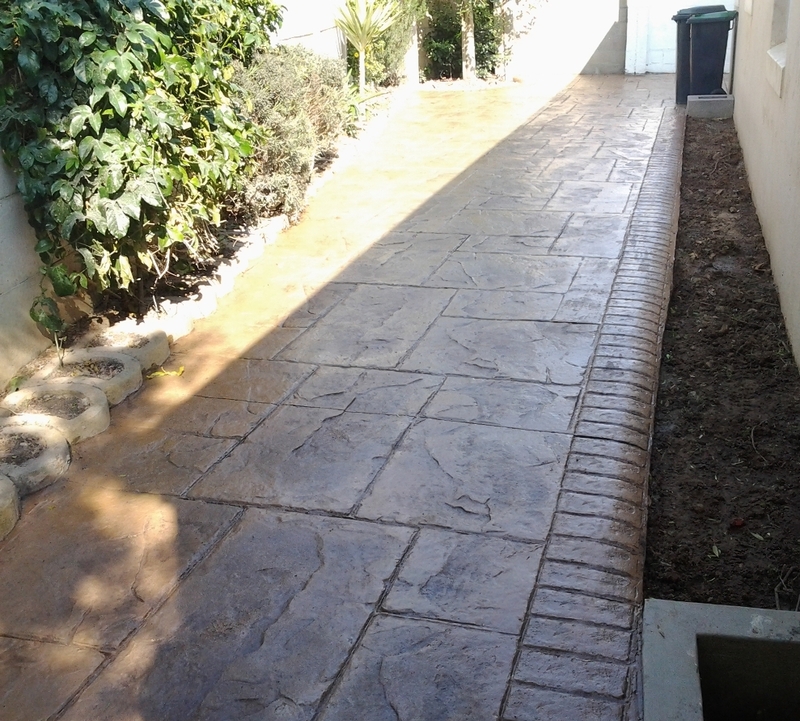 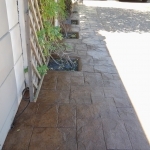 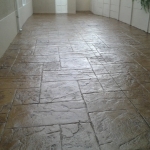 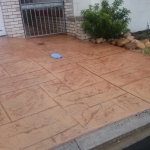 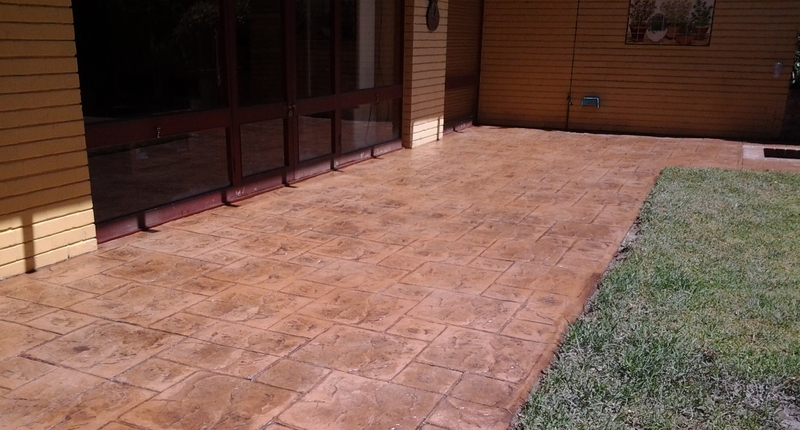 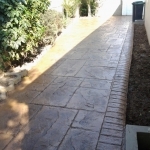 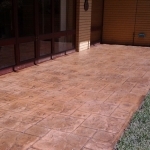 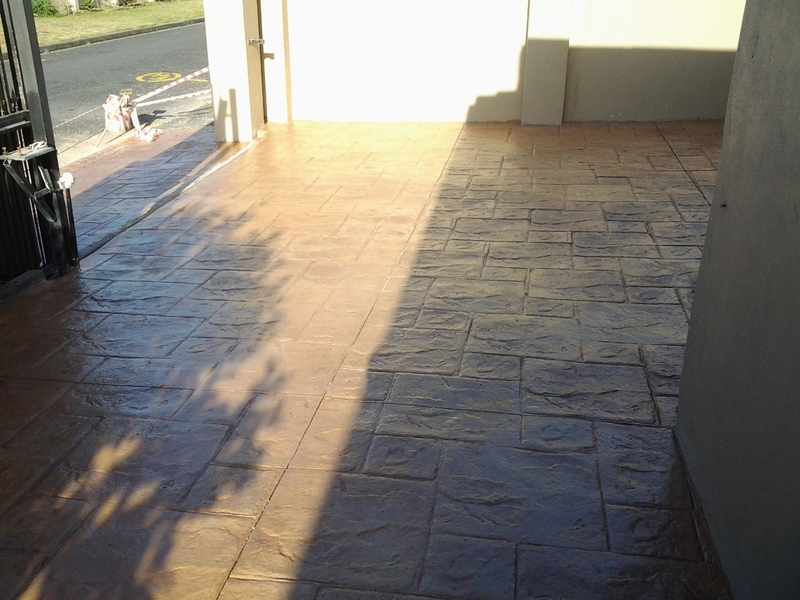 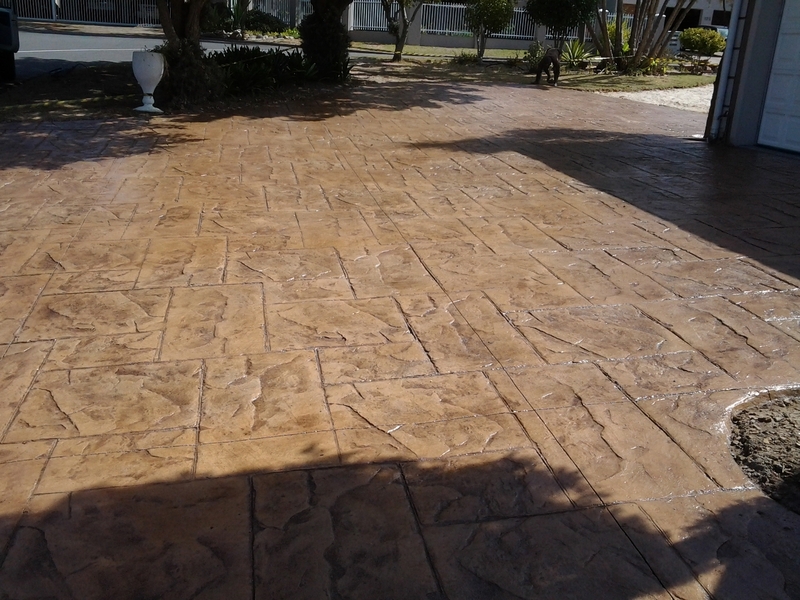 The colour hardener of the customers choice is rough trowlled into the concretes surface and then smoothed off. Control joints are cut into the slab to allow for expansion and contraction. 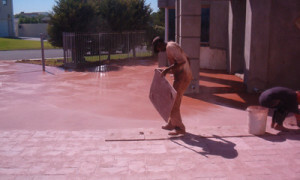 The release agent is then washed off and the slab allowed to dry. 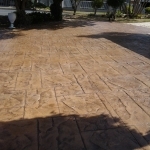 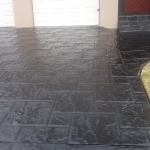 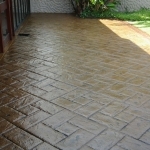 An acrylic sealant is applied to the paving. 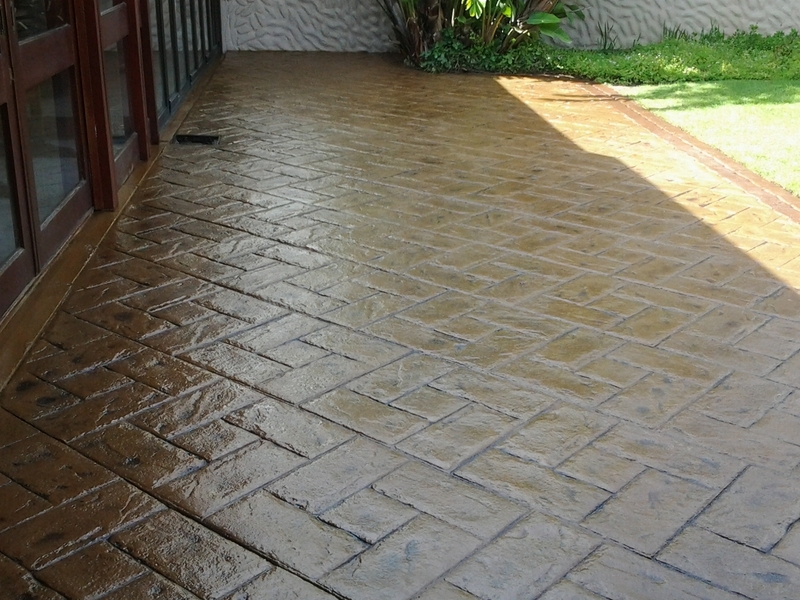 This sealant makes the conrete non-porous.